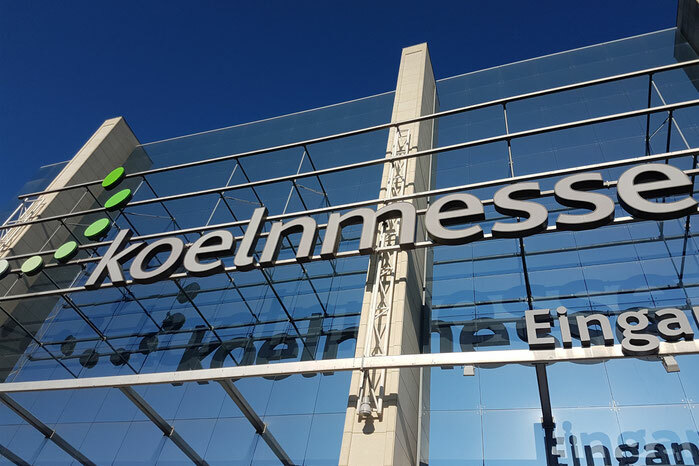 From March 29th to 31st the H+H Cologne took place. 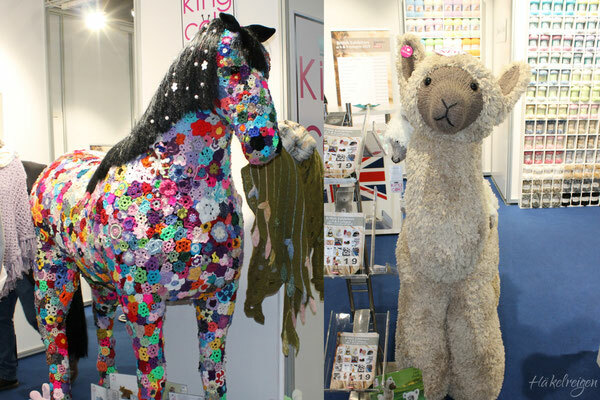 The H+H is the biggest and most important business fair for handicrafts and hobbies. 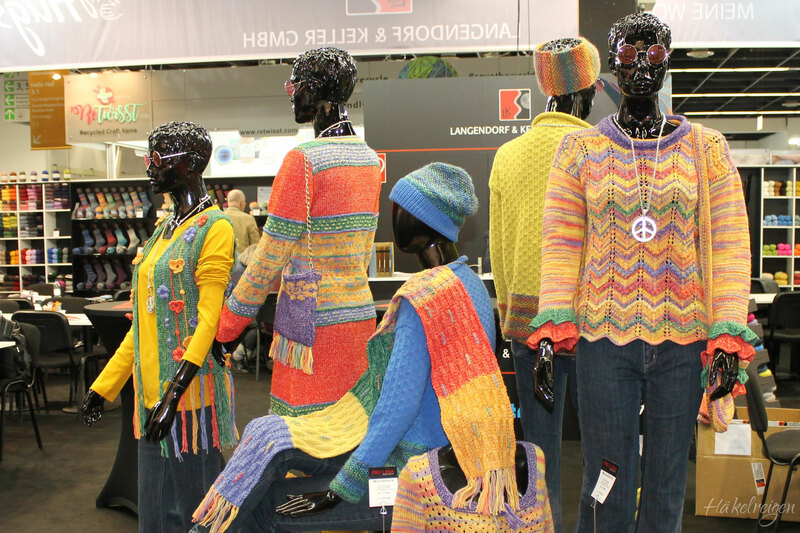 429 exhibitors from 43 countries presented their products for crocheting, knitting and sewing. 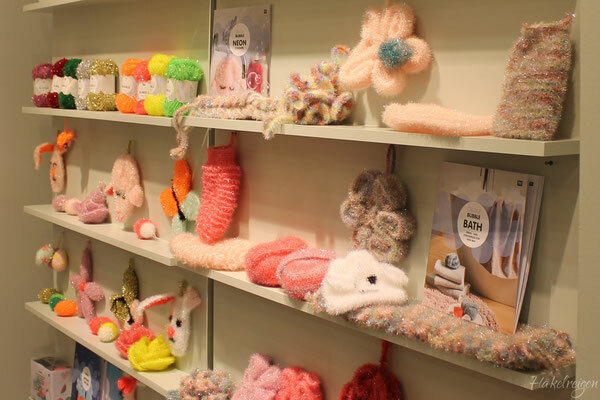 I was especially interested in crochet hooks of course. 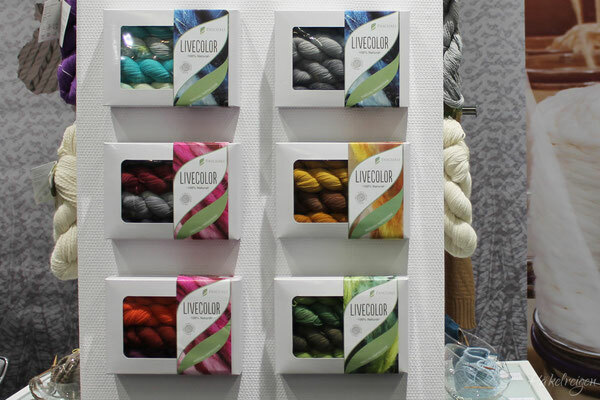 Sometimes Tunisian crochet hooks are hard to find and I want to show you here what I had discovered at the fair. 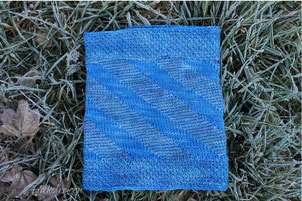 The idea is to crochet, knit or sew sustainable bags and give them to people so they won't use plastic bags any more. Everyone can take part in this campaign. The labels for the bags can be ordered for free from Initiative Handarbeit. They are numbered to count how many bags have been made. 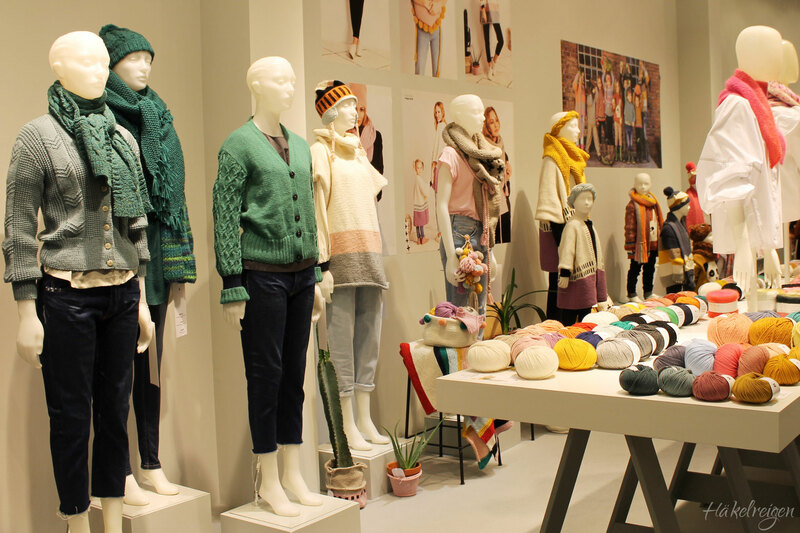 The aim is to produce and distribute 10,000 bags by the end of the year. 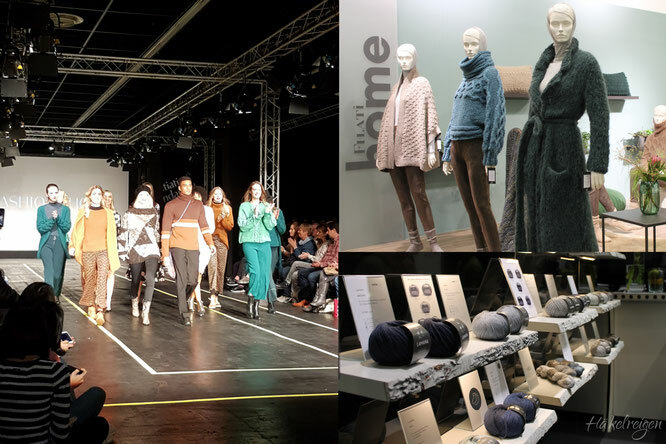 Further informations here: Initiative Handarbeit-Aktionen. At the Addi booth I met Jane [Jetztkochtsieauchnoch] who showed me how to use the Addi-Egg. 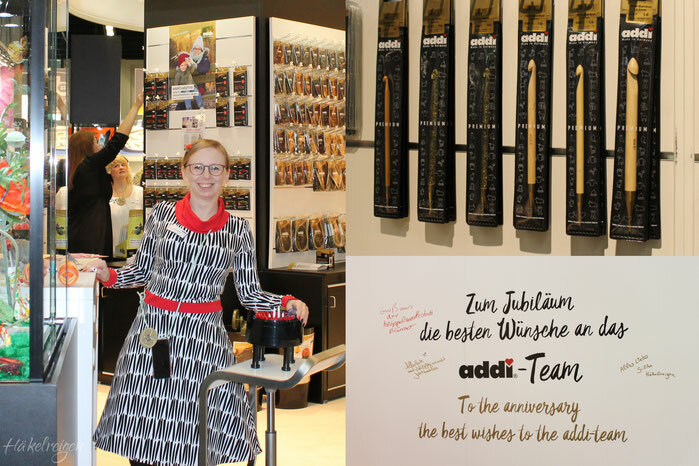 Addi celebrates the 190th anniversary and I left congratulations at the birthday wall. 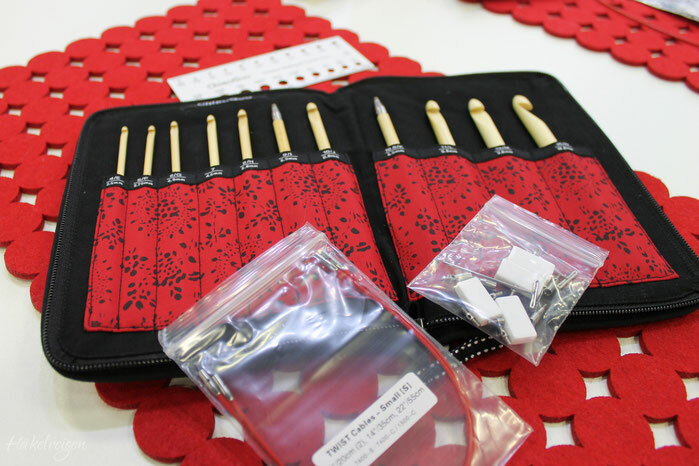 Addi offers two Tunisian crochet hook sets: The Click set contains 8 hooks, sizes 3.5 - 6mm made from metal, sizes 7 and 8mm made from plastic. 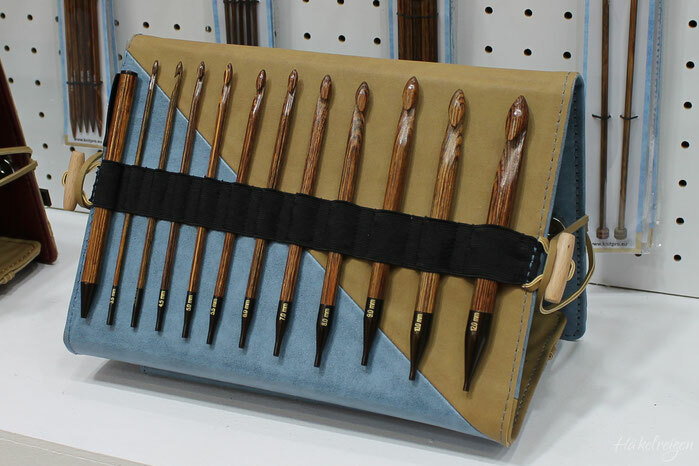 The Click Bamboo set contains 8 hooks made from bamboo in sizes 3.5 - 8mm. 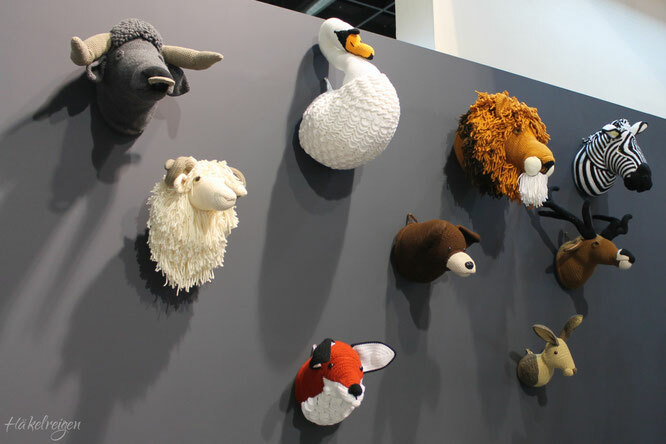 They are available as single hooks as well. 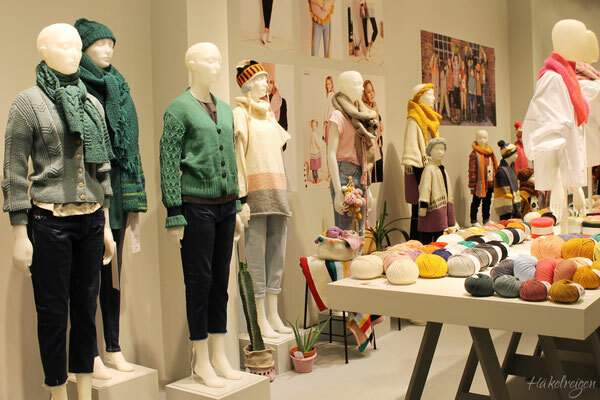 I also met Sylvie Rasch [CraSy] at Addi. Do you already know her lovely Tunisian crochet patterns? 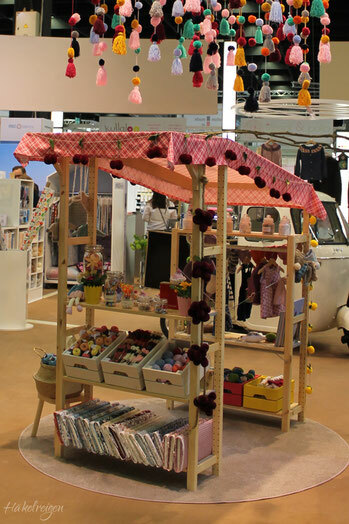 Steffi [Feierabendfrickeleien] presented the Pony products and showed me the crochet hooks 'Flair' and 'Rosewood'. The 'Flair' hooks are hand-painted in pretty colours. 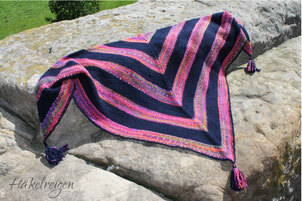 There is a new and awesome blocking grid by Pony. It is laid on top of the blocking mats and shawls or garments can easily be pinned into shape. 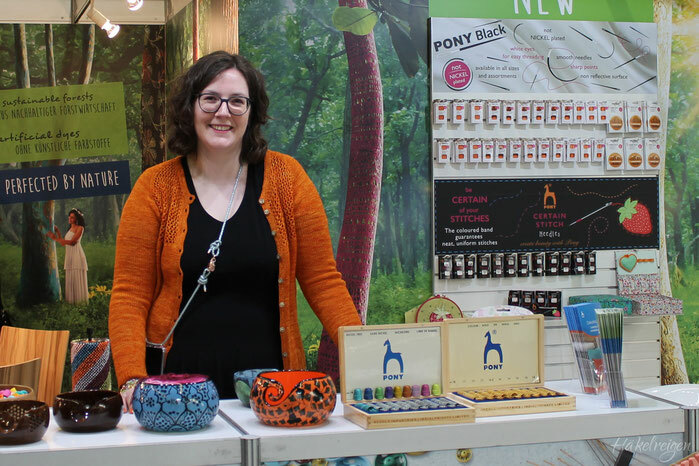 Pony offers three different Tunisian crochet hook sets: 'Chroma' contains 7 hooks from coloured aluminium in sizes 3 - 6mm, 'Absolute' 5 hooks from maple wood in sizes 6 - 10mm and 'Complete' contains 5 pairs of knitting needles and 5 pairs of hooks in sizes 3.5 - 6mm. I got a very nice goodie bag from Pony. Thank you! 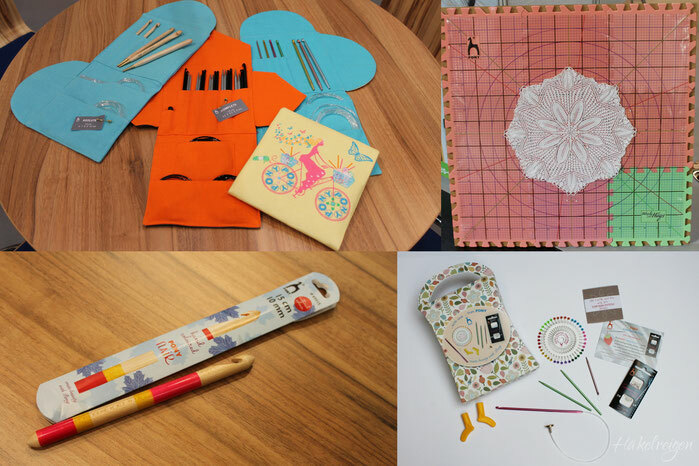 It contained knitting needles, a Tunisian hook, stitch stoppers and sewing needles. Pony has got a patented cable join called 'Glydon'. 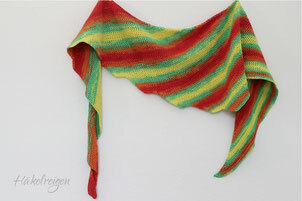 This is the new Tunisian crochet hook set 'Ginger' by KnitPro. 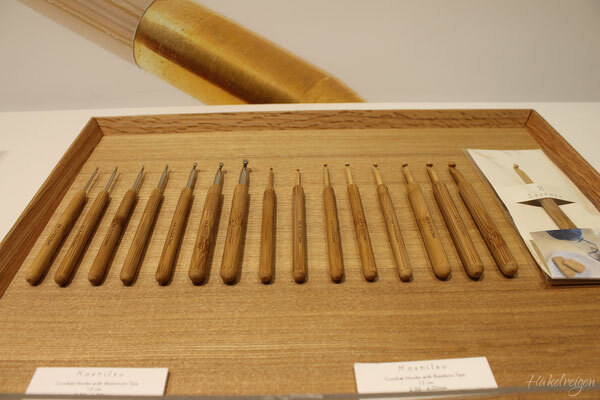 It contains 11 hooks in sizes 3.5 - 12mm made from brown wood. 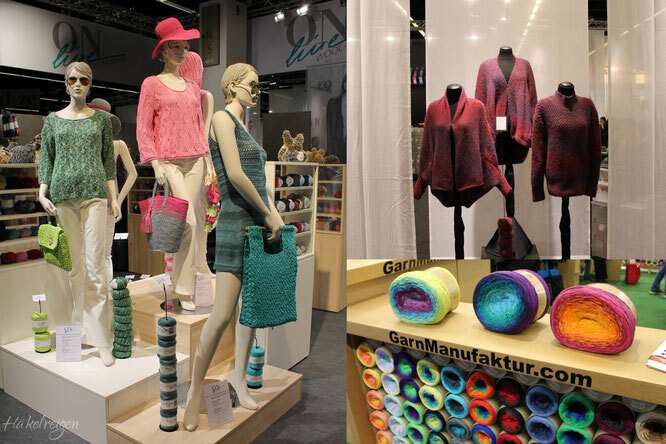 There was a lovley little shop at the booth of MEZ showing mini skeins of the yarn brands Schachenmayr und Gedifra. 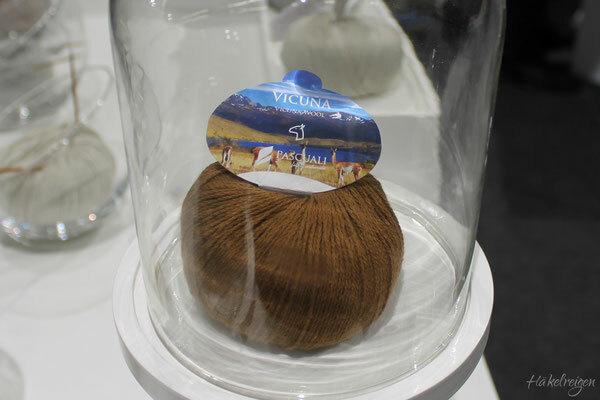 A huge "yarn ball" was the eye-catcher at the booth. It was made from hundreds of 'Catania' skeins. Catania is the well-known cotton yarn of Schachenmayr. 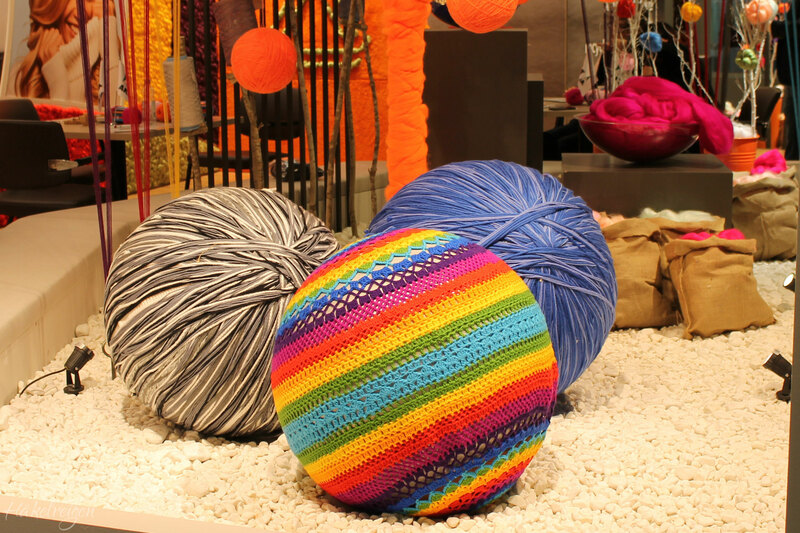 Do you know Catania is available for 30 years and in 105 colours? 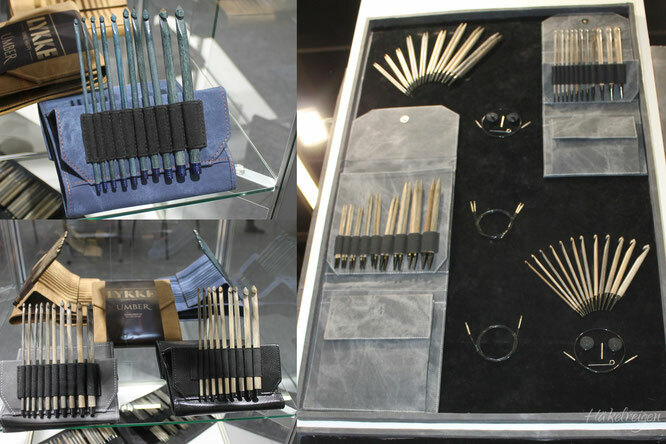 At the booth of ChiaoGoo I got a look at the new Tunisian hook set. It contains 11 bamboo hooks, sizes ranging from 3.5 - 10mm, and the red Twist-cables. Pascuali sells the most rare and exclusive yarn of the world: Vicuna. 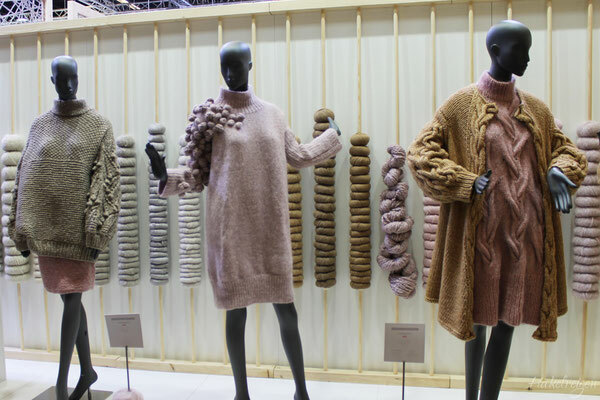 It is won from wild living animals, that can only be shorn once in two years. The amount you get from one animal is about 150 grams only. 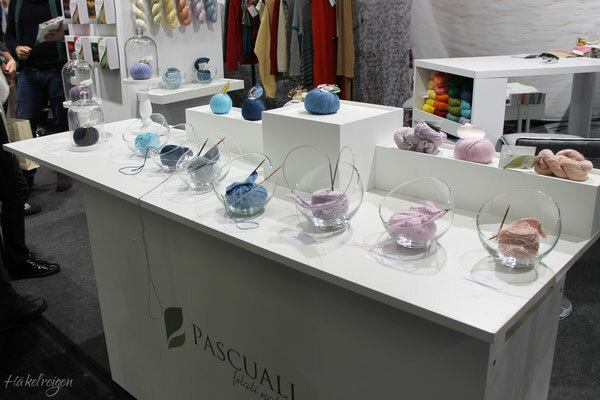 At the booth you could "test-knit" almost all yarn qualities Pascuali offers. What a great idea! 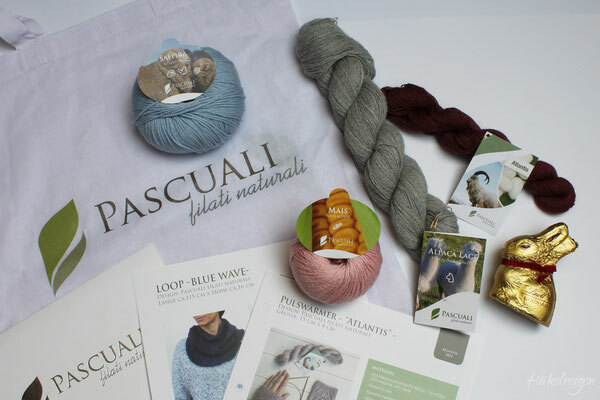 I got a wonderful goodie bag with a ball of Saffira (merino and silk), a ball of Mais wich is made from corn plants, a skein Alpaca Lace and a skein Atlantis (cashmere and silk). Thank you! 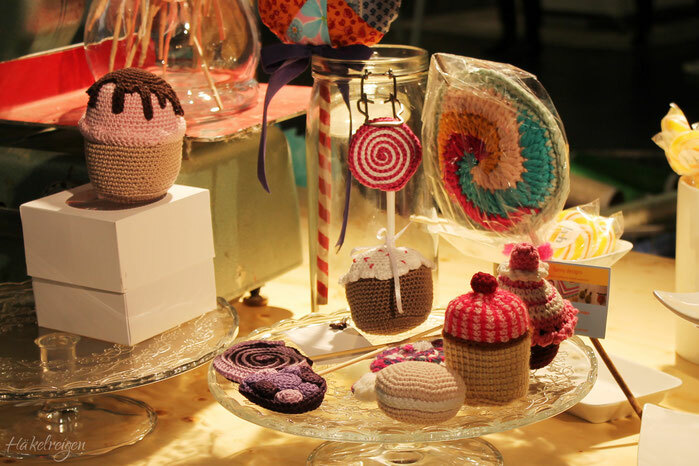 My Tunisian crocheted cupcake at the candy bar. 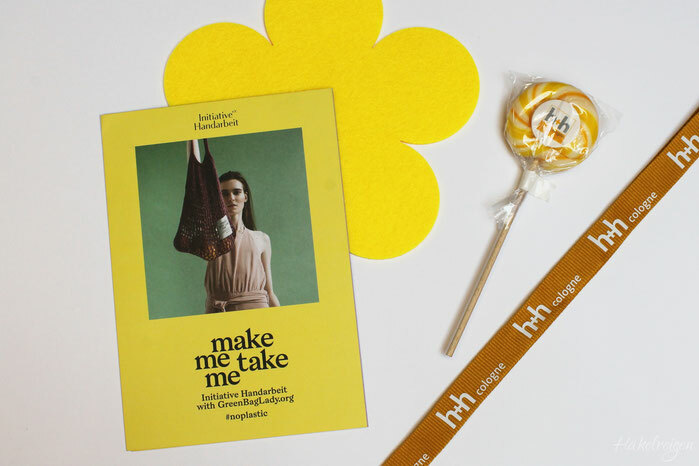 I got a H+H lolly for it. 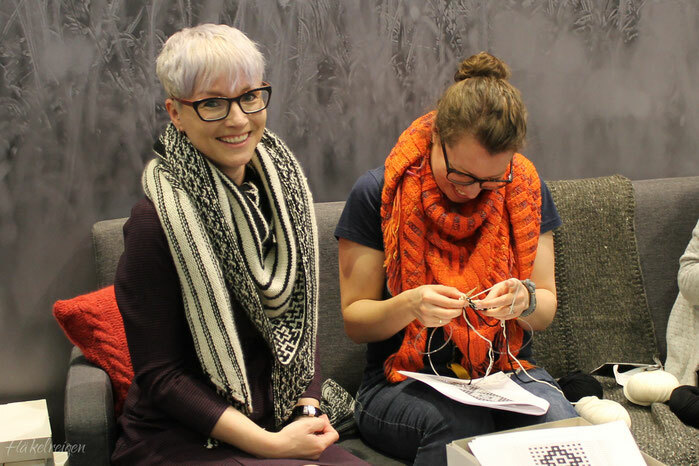 Julia-Maria [Feinmotorik-blogspot] introduced her book 'Mosaik Tücher stricken' (Knitting mosaic shawls) and offered a workshop for learning the technique. The people at the Tulip booth were very friendly and gave me a Tunisian hook for testing. Thank you! 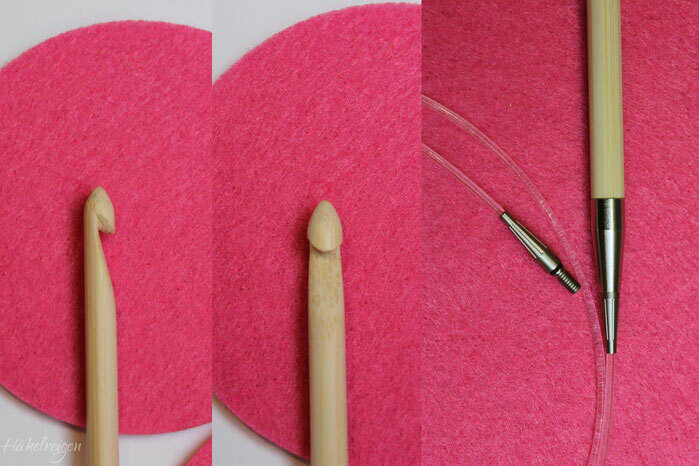 The hook set 'Carry T' by Tulip contains 10 Tunisian crochet bamboo hooks in sizes 3.5 - 9mm. 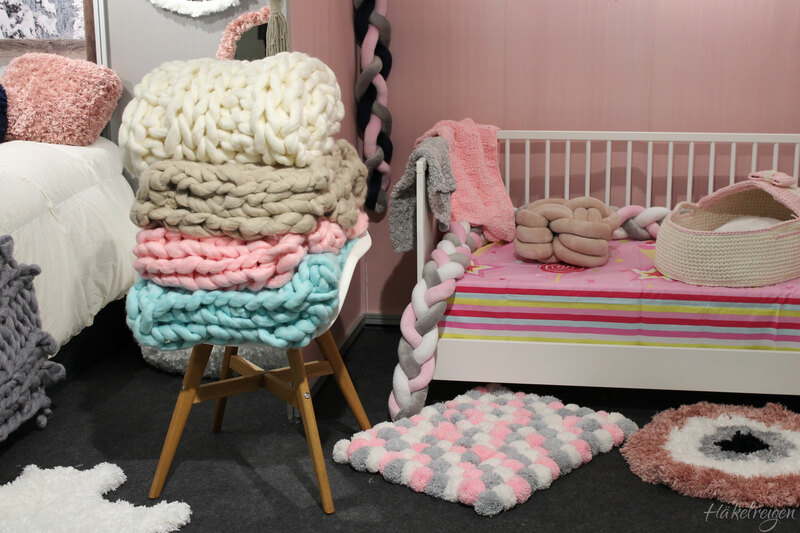 The cables swivel and have a very smooth transition to the hook. 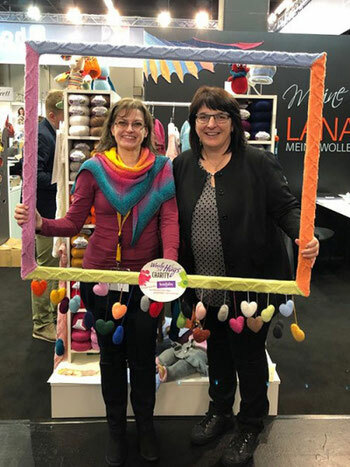 I met Veronika Hug at the booth of Langendorf & Keller (yarn brands Pro Lana and Woolly Hugs). 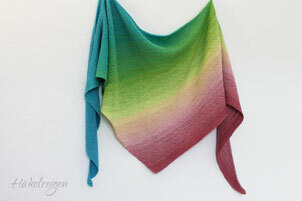 She has designed a lot of lovely Tunisian crochet patterns. 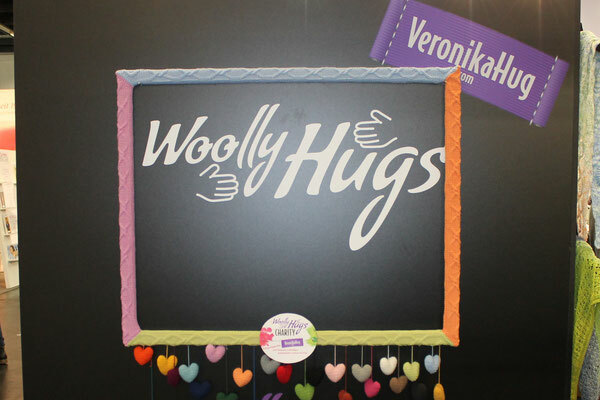 Do you know the gradient yarn cakes of her brand Woolly Hugs? 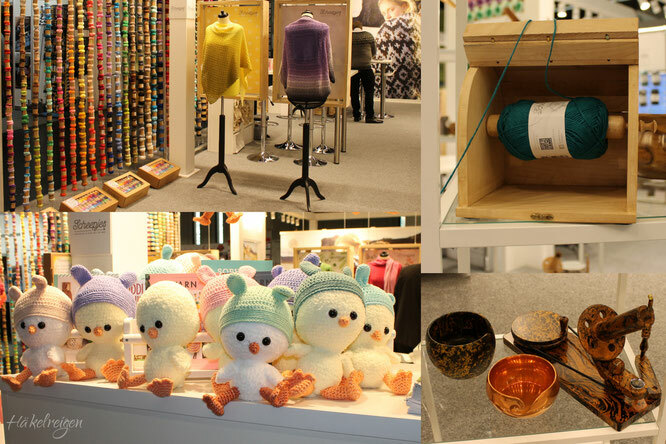 The knitting needles and crochet hooks of Seeknit are a really great discovery I made at the fair. 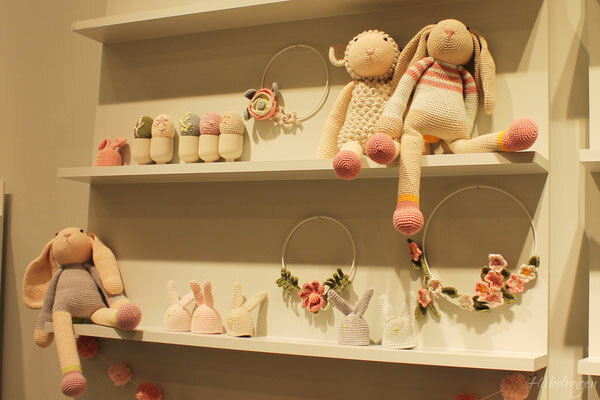 They are made from Japanese bamboo, have a smooth surface and are available in a wide range of shapes: from tiny circular knitting needles to 35cm-Afghan hooks with one pointed end. 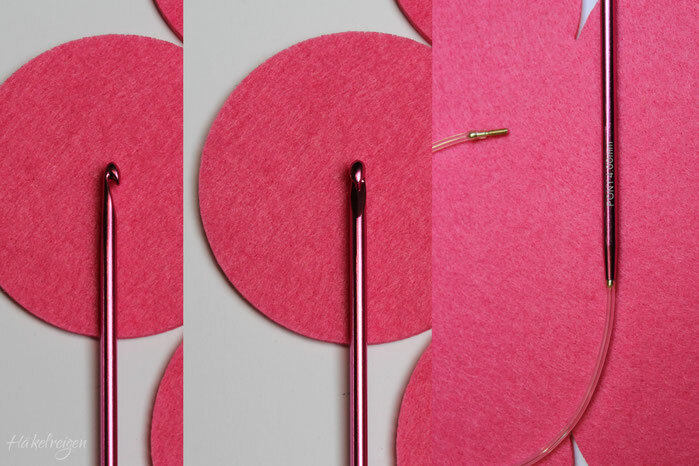 For Tunisian crocheting there are double ended hooks available in different lenghts and sizes as well as interchangeable hooks in sizes 2 - 10mm. The cables swivel. 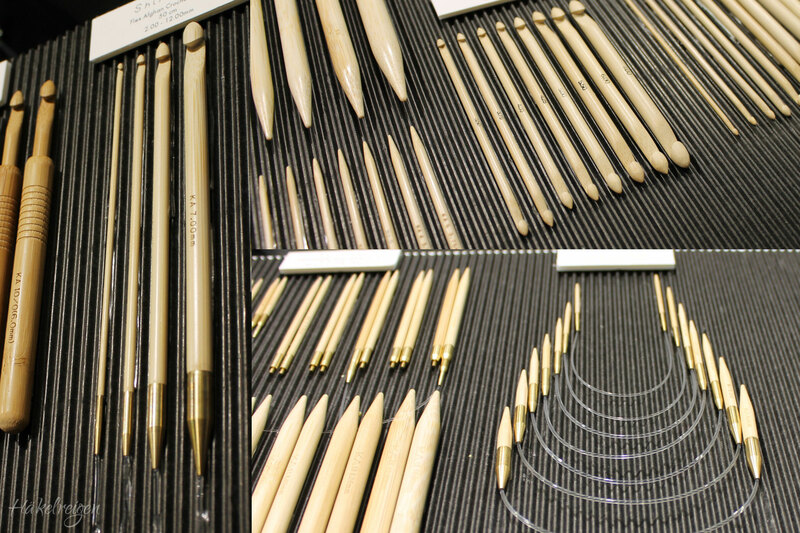 At Prym I tried out the new ergonomic crochet hooks which are now available in smaller sizes. 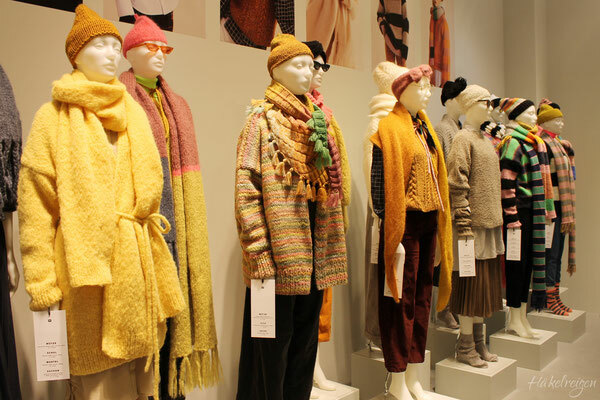 They come in happy colours. 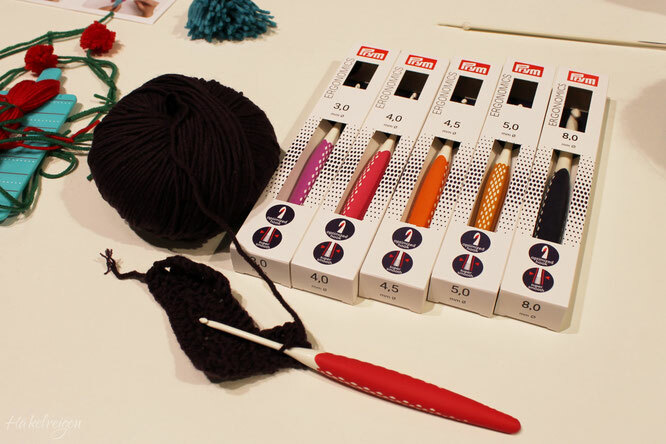 The crochet hook sets by Lykke are available as regular hooks and as interchangeables in four different colours. The fair was a great experience for me. I met a lot of lovely people and saw wonderful yarns and hooks. I would like to thank Pascuali, Pony and Tulip for their samples.